The fine sandy beaches of Conil de la Frontera are among the most beautiful beaches on the Costa de la Luz and stretch out over several kilometres. Southwards from Conil the beach extends uninterrupted, through El Palmar and Zahora, all the way to Los Caños de Meca (over 15 kilometres). Northwards the coast gets more rocky and the beach is replaced by impressive cliffs and beautiful sandy coves with clear blue waters. Conil de la Frontera has four official beaches, each with its own character and appeal. 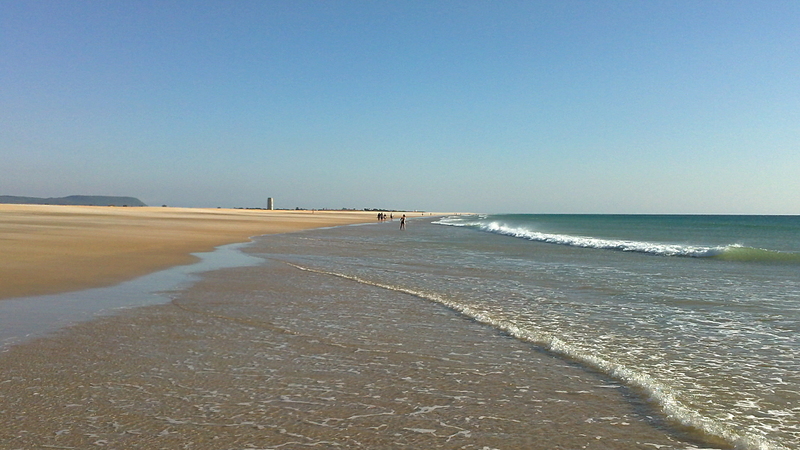 Located to the south of Conil is the quiet and completely unspoilt Playa de Castilnovo. Directly next to the beachfront promenade is the beautiful Playa de los Bateles. A little more to the north is the popular Playa de la Fontanilla, known for its beautiful sunsets. The sheltered Playa Fuente del Gallo, surrounded by steep cliffs, is the northernmost beach of Conil. Music: Wellman ft. Snowflake & Pitx - "Harmony"